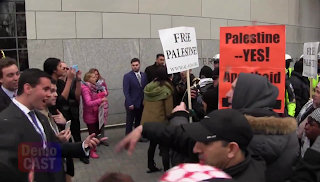 Jewish and Christian conference attendees attempting to access the AIPAC Policy Conference in Washington were confronted by violent Muslim and Leftist demonstrators chanting, "Shut it down!" Analysis of presidential candidates' speeches at the Verizon Center in Washington from Tim Constantine, Washington Times columnist and Scott Jacobs of DemoCast. Donald Trump laid out his Middle East policy plans which would affect Israel. Ted Cruz will be hard towards the latitudes Obama has granted Islamist movements, like Iran. Gov. John Kasich professed a personal affinity with Jewish friends and Israel. Vice President Joe Biden downplayed his administration's pushing Israel to sacrifice territory for an Islamist Palestinian state, sabotaging Israel's defense against Iran's nuclear development and reneging on promises to boost Israel's military advantage after losing the JCPOA to the White House. Hillary Clinton made no reference to the revelations of her State Dept. staff and advisors to stir Palestinian terrorism against Jews in order to pressure Prime Minister Netanyahu to cede territory. Organized left-wing and Islamist protesters antagonize pro-Israel, AIPAC Policy Conference attendees at D.C. Convention Center, March , 2016. We examine the provocation and the responses from Zionistic attendees, including one Tennessee Christian. Rabbi Ben Packer of Heritage House in Jerusalem set up a stand on the streetcorner at 8am. 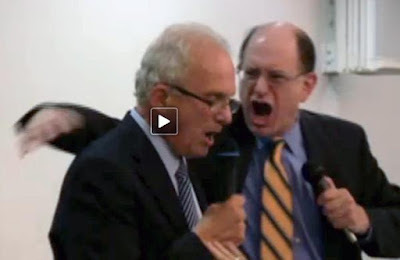 When asked why so few of the 10,000+ conference attendees had come out to oppose the protestors, Rabbi Packer replied he was told that AIPAC would revoke conference access to anyone who did. 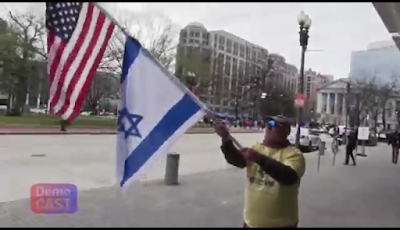 Mr. Aliff says he comes from Knoxville, Tennessee year after year to encourage US support for Israel, waving his Israeli and American flags. "It's time for this country to wake and realize Israel is our ally and our friend," Mr. Aliff said. "We don't break friendships. In Tennesee, that's what being a Tennessean and a "volunteer" is all about. Friendships- period. You don't turn your back on your friend. 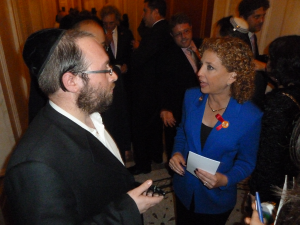 Israel is our friend and ally and I will always support her- always! I will say that those that are for them are greater than those who are against them." 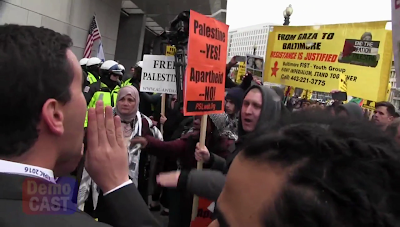 A number of conferencees came out to engage the protestors in what was likely the first dialogue they've ever had with Jews, Christians, or anyone else with differing views on Israel-Arab relations and resolution of the conflict. Watch our original news chronicling.